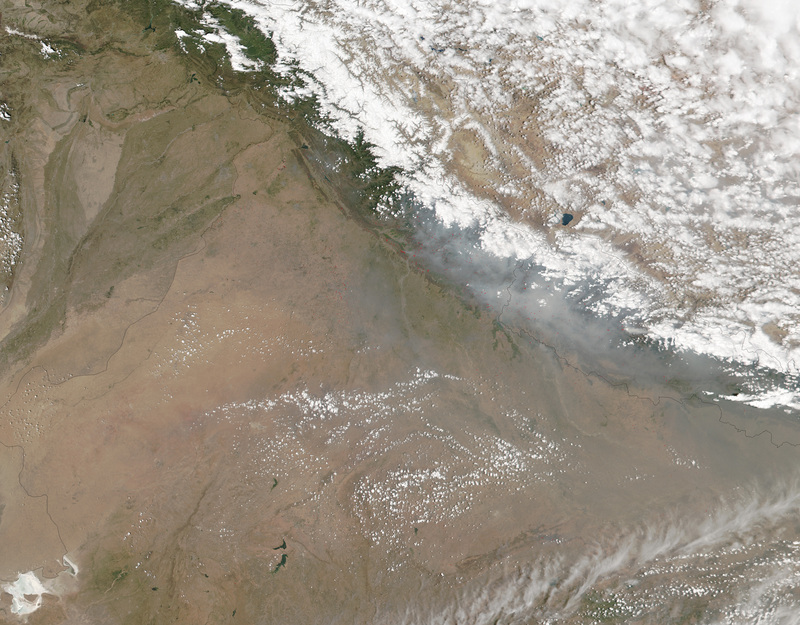 In Nepal, the dry month of April always brings an increase in fire activity. However, the fires were particularly widespread in April 2016. 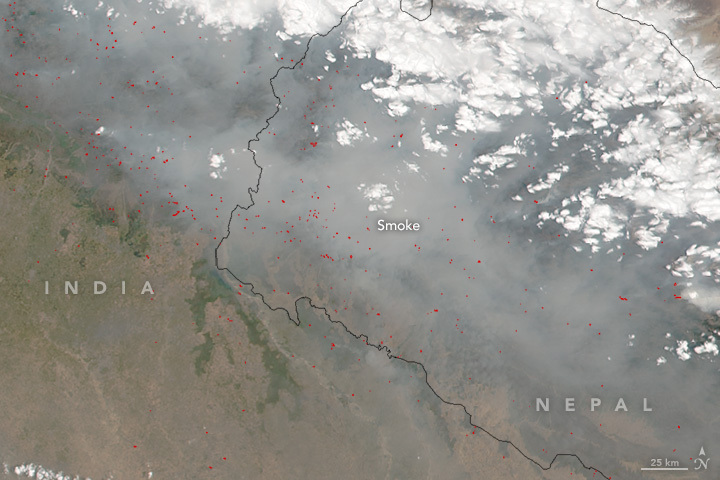 On April 28, the Visible Infrared Imaging Radiometer Suite (VIIRS) on the Suomi NPP satellite acquired this image of smoke and fires in Nepal. Red outlines indicate hot spots where VIIRS detected warm surface temperatures associated with the fires. Kathmandu Post (2016, April 25) Wildfire destroys over 10,000 hectares of forest in Kanchanpur. Accessed April 29, 2016. The Himalaya Times (2016, April 25) Wildfires destroy over 100 Dadeldhura forests. Accessed April 29, 2016.